This book is pure magic. 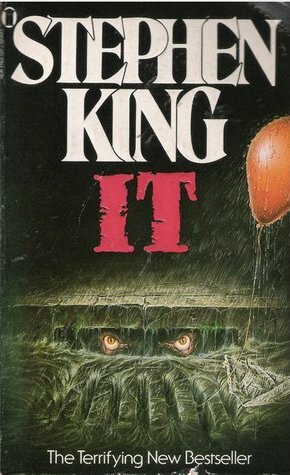 Stephen King has written some notable horror books in his day, but to me, this one takes the cake. 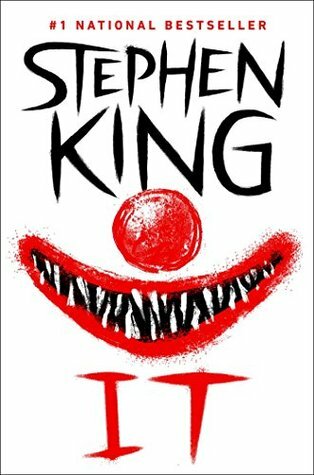 It has a group of kids that anyone can relate to, along with an iconic horror villain. The book cover is so simplistic, yet reveals a great event in the story that sets up the rest of the book. I have never been this unnerved about the first chapter of a book… until now. I watched the mini-series and the remake before diving into this massive literary achievement. I’d heard the book was better than both movies, so I had to give it a read. IT is set in Derry, Maine. IT has been affecting the town of Derry for years. Kids have gone missing, freak accidents have occurred, and it’s happening again. Parents know something, but they aren’t saying anything. There is an ancient, otherworldly evil dwelling in the sewers of Derry, feeding on children. It began for the Losers on a day in June of 1958, the day school let out for the summer. That was the day Henry Bowers carved the first letter of his name on Ben Hanscom’s belly and chased him into the Barrens, the day Henry and his Neanderthal friends beat up on Stuttering Bill Denbrough and Eddie Kaspbrak, the day Stuttering Bill had to save Eddie from his worst asthma attack ever by riding his bike to beat the devil. The Losers’ Club consisted of Mike Hanlon, Stan Uris, Richie Tozier, Ben Hanscom, Beverly Rogan, Eddie Kaspbrak, and Bill Denbrough. Each faced IT alone in 1958. Later that year, they face IT together. They thought the nightmare was over. The Losers’ Club thought they defeated the evil creature. The evil preying on Derry was far from over, though. The six men and one woman have forgotten their childhoods, have forgotten the time when they were Losers…but an unremembered promise draws them back, the present begins to rhyme dreadfully with the past, and when the Losers reunite, the wheels of fate lock together and roll them towards the ultimate terror. Mike Hanlon is the only member of the group that never left Derry. In 1985, it starts happening again. Kids start disappearing. Mike calls them back to Derry one last time. There is one Loser that doesn’t make the trip back to Derry, though. That is one of the scenes that has stuck with me for some time now. If you’ve never watched the movie, then you don’t see it coming at all. What makes IT the quintessential coming-of-age book is the characters. 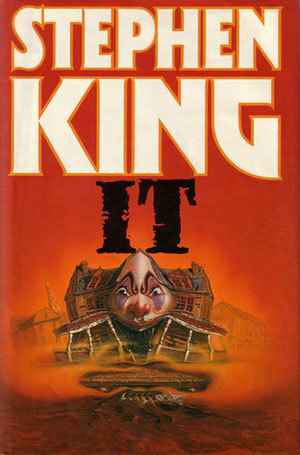 Stephen King has created two groups of characters that everyone can relate to – the Loser’s Club and Henry Bower’s gang. Not only do the members of the Loser’s Club have to face Henry Bower’s and his gang, they also have to face Pennywise the Dancing Clown and his various forms. Pennywise feeds on the kid’s fears, so he transforms into their worst nightmares in order to prey on them. The group’s bond grows stronger with each passing day. Once they reunite, it’s like they had never left. Old habits begin anew. They must find the creature’s lair. They must face the beast one final time. They have to rely on one another to survive. This gigantic book is beautifully written. The dialogue is everything. The character development is otherworldly just like its antagonist. After reading this book everything about Derry, Maine makes more sense. I feel like I can find my way around Derry on a bicycle or on foot. The book is amazing. I will read this one time and time again… but it has to be on an August day. The Losers ring true and the bullies are equally compelling. 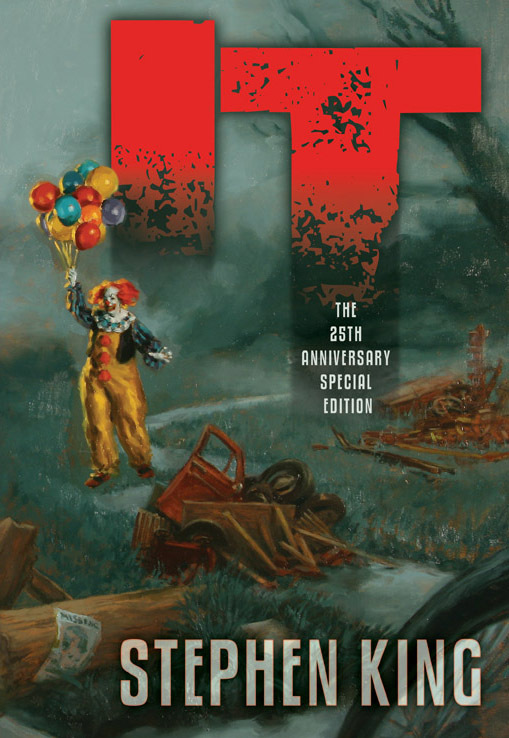 I feel like I was right there with each of the characters as they experience paralyzing confrontations with Pennywise the Dancing Clown and It’s other forms. That’s when you start getting goosebumps. The book has so many more monstrosities than the movies. To me, the source material is better because of it. The book is also better because it contains more details and more substance. There are scenes in the book that aren’t in the movies. I don’t know if it ever names the narrator, but I think you can tell it’s Mike Hanlon. I loved this narrator. I thought he fit perfectly in this book. 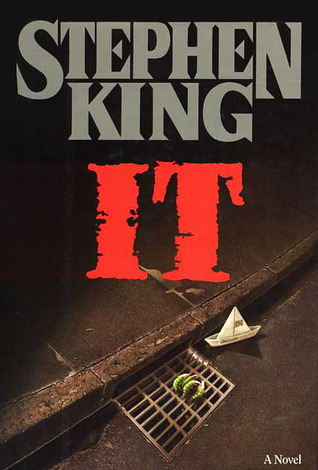 Stephen King even deals with racial and social issues in this book. IT is almost a perfect book, if not a perfect book. 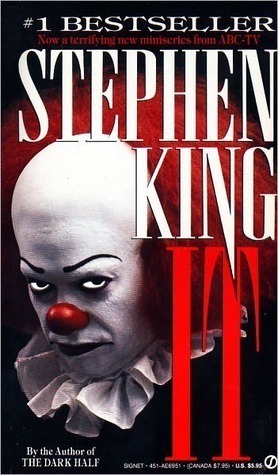 People say that THE STAND or SALEM’S LOT is Stephen King’s greatest work, but I say IT is his crowning achievement. IT has it all – the nostalgia, the childhood friendships, the having to grow up way too soon, and the ultimate villain that frightens everyone. What’s not to love? I can’t say enough about this book, guys! Don’t wait any longer. Read this book now. You won’t regret it for a second.